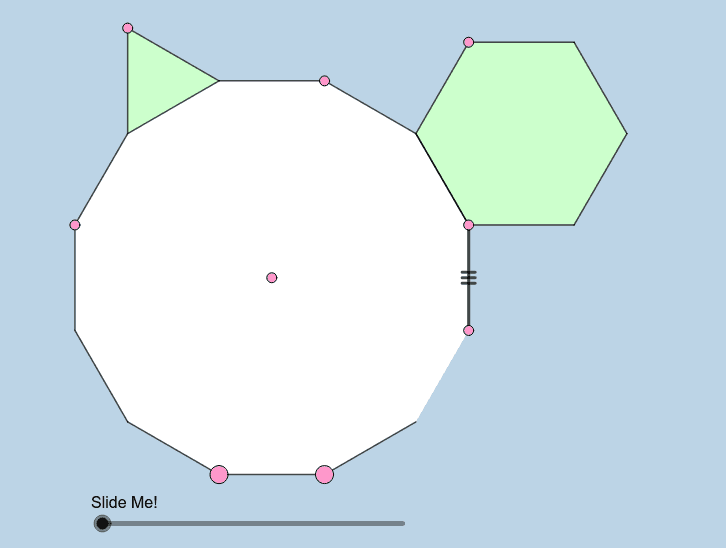 The polygons seen in the applet below are all REGULAR. You can move the 2 LARGE PINK VERTICES anywhere you'd like at any time. How can we formally prove what is dynamically illustrated here?